BULK BUY - SAVE OVER ﾣ13 FROM BUYING SEPERATELY! Box of 24 x Genuine Zippo Lighter flint dispensers, each containing 6 lighter flints, which will fit any flint lighter. The flint dispensers are in an attractive, branded plastic display (as shown) with the Zippo logo. 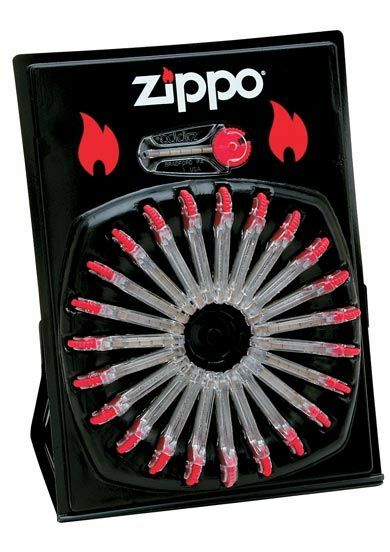 The Zippo flint dispensers retail on our site for ﾣ1.59 each, so by buying in bulk, you save over ﾣ13. Fast, Free UK Delivery. We also ship accross Europe.